Assassin’s Creed Unity has somewhat faded into the darkness recently, it’s abysmal launch being lost in the sea of bad development moves and the poor conveyance of ideals that is the current state of the video game industry. But Ubisoft are staying true to their word and continuing to provide updates and patches for Assassin’s Creed Unity to improve it’s overall stability post launch. Patch 5 has been rolling out over the past couple of days for Xbox One, PS4 and PC gamers and while it is a somewhat lacking patch, it’s better than nothing. The patch brings an overall boost to stability and performance by fixing a number of random crashes in both the cooperative and campaign game modes. 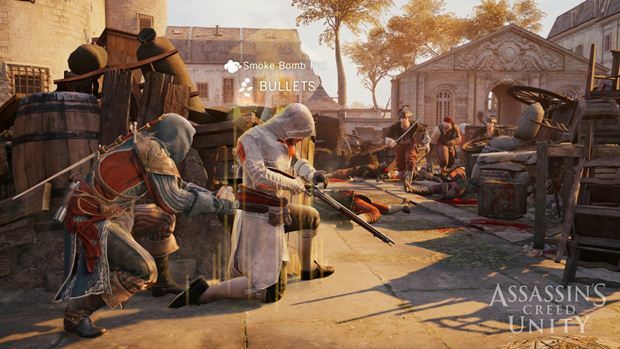 Gameplay tweaks include fixes for losing control of Arno and a number of online connectivity improvements have also been made. Improvements have been made to the games save setup and progression system that would see players losing gear or not being able to locate Leon in the Dead Kings Memory 2. There have also been a number of fixes made to FX and Texture issues throughout the game world.